For many nights as a kid during the mid to late 1980’s and again into a period of the 90’s the radio was a great source of comfort and entertainment. That first period into the 1980’s was a great time for the glam metal bands that started to figuratively take over programming director playlists. It was about turning it up and having it really, really loud. I was just getting into different kinds of metal and discovering classic rock at the time. Let us not forget that the pop music of the day had several shining moments as well. Edie Brickell’s “What I Am”, was a personal favourite and was in heavy rotation at one point. This old track still brings a smile to my face. Bruce Springsteen’s “Born In the USA” was a tape that I wore out completely. My hometown radio station was an AM gem that has long moved over to the FM dial. Thanks to great on-air talent and dependable advertising revenue, it has survived. Heard all over the area clearly and across the Northumberland Strait into multiple points on Prince Edward Island. During the 80’s the station deployed a “Favourite 5” countdown every weeknight. They played songs that were voted on by callers and the list would be run with a small number of commercials in between songs. It was always interesting to see what songs would make the list. As a fan of the louder stuff I made it a point to get votes in for the heavy favourites. Along with a handful of other callers we attempted to blind side the disc jockeys into playing songs with expletives which we knew existed as B-sides on some of the singles. It never worked but the effort was commendable. Gradually as my calls increased some of the disc jockeys were able to recognize me instantly. I would regularly call in to contests and just request songs that I really wanted to hear. Most times I was able to get a favourite track played on the air. Some of the DJ’s used to invite song dedications which of course remains a common listener reach-out to this day. I look back on in now and think I was laughably young of mind. Getting the on-air talent to dedicate a song to an elementary school crush who likely never listened to what was on the dial. Those dedications were wedged in between ones for high-school couples who would be at the local fast-food hangouts celebrating their 11-day anniversaries on a Friday evening. 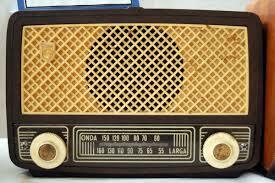 For many years I had to fall asleep to the sounds of the radio. When I was done with my hometown station I would spend hours on the dial attempting to get signals from the entire eastern seaboard. Many nights it worked brilliantly. It was very common for me to pick-up a baseball game completely clear and clean with all the sounds of the park. As much as I preferred to watch baseball on television this was equally great because you had to picture what was happening. On some of those nights I would end my active radio listening session by dialing back to the hometown station staying up to hear a taped feed of “BBC Classic Tracks”. This is where I would hear a song talked-in by a DJ from the BBC. This was my early education in classic rock. I usually fell asleep afterwards to the hometown station or turned to CBC Radio so I could listen to classical music. During a period into the early through mid-nineties the same hometown radio station started to take open calls on what they called the dedication line. Most of the calls were fairly serious and somewhat genuine. Gradually, the dedication line was taken over with a mix of prank phone calls and very pointless dedications. Someone would call and dedicate the night’s song to “Pee-Wee Herman from his hands”. The DJ was in hysterics with laughter. A few days later I remember the same DJ hanging up on someone who threatened another individual. He then mentioned to the audience that everyone listening needed to have a cup of decaf. Things were starting to get out of control as more callers would prank the station with bogus dedications. I did not blame the disc jockey one bit and would have done the same thing. Even though there were some funny moments from those days I certainly understood the frustration from the on-air staff. Times have changed. While I remain a dedicated fan of the Howard Stern Show and satellite radio in general, the hometown station holds some great memories. I laugh now because in my younger days I was one of dozens who lobbied the station to play more classic rock. Now the company that owns the old station is running a classic rock station in the same market. It is giving listeners of the flagship station the chance to flip over to a format that remains popular in every market. I wish everyone involved with the two stations well, and hope both can be around and co-exist for many years to come. Posted in Notes from the Frogpond.Tagged AM Radio, baseball, BBC Classic Tracks, Born in the USA, Bruce Springsteen, CBC Radio, classic rock, Classical Music, countdown, dedication line, Edie Brickell, elementary school, Howard Stern, loud, metal, mondayblogs, New Glasgow Nova Scotia, Nova Scotia, Pee-Wee Herman, Prince Edward Island, radio, radio days, radio stations, singles. Great read Dann. Thanks for it. I was a dedicated radio junkie in my youth. Those night time AM stations we could dial in from the US were fun.